There are 2 days of the year when those Christians who don't regularly attend church make an extra special effort to dress up and praise the Lord. The first is Jesus' birthday or as it is more commonly known, Christmas. The second is Jesus' other birthday, the one when he was reborn, which we call Easter. Easter is one of those religious holidays which was created to appease the pagans, which is why Easter Sunday is on a different date each year. Using celestial events to specify the date of Easter is more in tune with how druids and pagans celebrate their holidays. For those of you who are interested in the details, Easter always happens on the first Sunday after the first full moon after the spring equinox every year. Easter is now marketed as a time of bunnies, chicks and candy. Lot's of candy. Obscene quantities of candy. Yes it seems that the original message of Easter has been lost in favor of selling bite size marshmallow chicks. The Easter story has moved from crucifixion to confection. 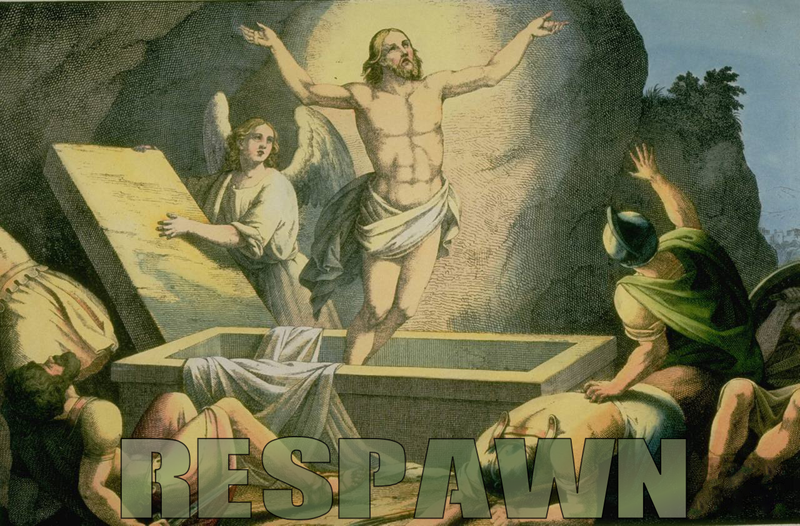 The phenomenon of being reborn from the dead used to be called 'Resurrection' but now, thanks to the influence of video games like Call of Duty, it is known as 'Respawning'. Being reborn after death should not be confused with being undead. Being undead is a state of post mortem where the body appears to have life but the soul or spirit is not present. It is unlikely that Jesus would come back as a zombie or a vampire, even though it would mean an increase his popularity, given the current trends in movies and TV. 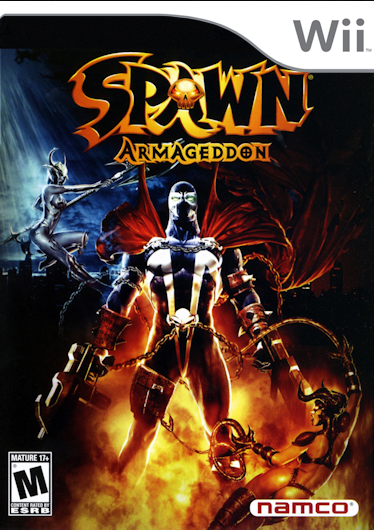 Wii Spawn - worse than the movie? Looks like we wandered off track a little. There is a rebellious clique growing on the internet who choose to celebrate 'Zombie Jesus Day' instead of Easter Sunday, and a quick g**gle search of Zombie Jesus will lead to you a whole bunch of ZJD crap. It is widely accepted that the term Zombie Jesus originated in 1999 on the popular animated TV show, Futurama, and has been gently growing since 2005 with spikes in popularity every Easter since then. Interestingly, searches for the term Jesus Vampire tailed off after Easter 2005 suggesting a change of faith for alternate Jesus fans. These 'un-religions' have a long way to go to meet the popularity of the long established Christian Jesus, and it seems that Zombie Jesus searches are tailing off from the peak in 2011, while Jesus searches are trending upwards with peaks at Christmas and Easter every year. Do you still feel the religious side of Easter or are you all about the bunny and the chocolates? Could/Would/Should you believe in Zombie Jesus? Share your Easter thoughts below. EDIT: It seems that 2015 was the year of the Zombie Jesus with Google searches for that term more than doubling the previous record set in April 2011. I can categorically say that we probably had everything to do with the unprecedented increase in curiosity in Zombie Jesus.